Remember those summers going out into the great outdoors as a child? 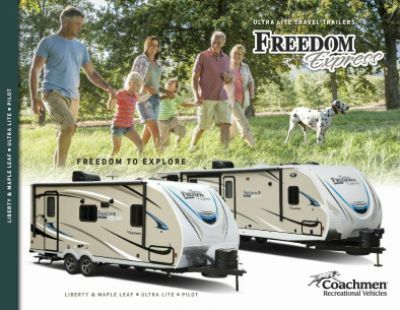 Relive those pleasant memories with the 2020 Coachmen Freedom Express Liberty Edition 320BHDS! 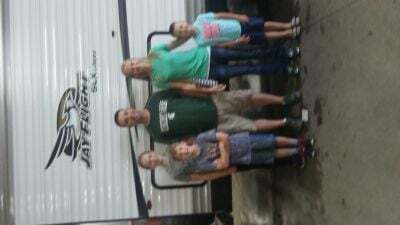 Your family will go on incredible adventures with this reliable Travel Trailer! You'll find this RV and other quality models for amazingly low prices at Gillettes Interstate RV! Our excellent staff and wide variety of financing options are part of what makes us one of the best RV dealers in Michigan! Visit us at 7210 E Saginaw St East Lansing Michigan 48823, or call us at 517-339-8271! Sleep comfortably every night of the trip in the Queen bed inside the master bedroom! A family of up to 10 can sleep inside this super RV! When you're on the road, feeding the family can be challenging. Not in the Coachmen Freedom Express Liberty Edition 320BHDS, thanks to the terrific kitchen this RV features! With all modern cooking appliances like the 3 burner range cooktop and the 8.00 cu. ft. refrigerator, you can stock all of your favorite foods and cook up delicious family meals in no time! With the 49 gallon freshwater tank, you'll never run out of the water to clean, drink, and cook with! Face it, no one really likes trudging in the dark, or the cold, or the rain to the campground's damp, chilly, crowded public bathrooms. 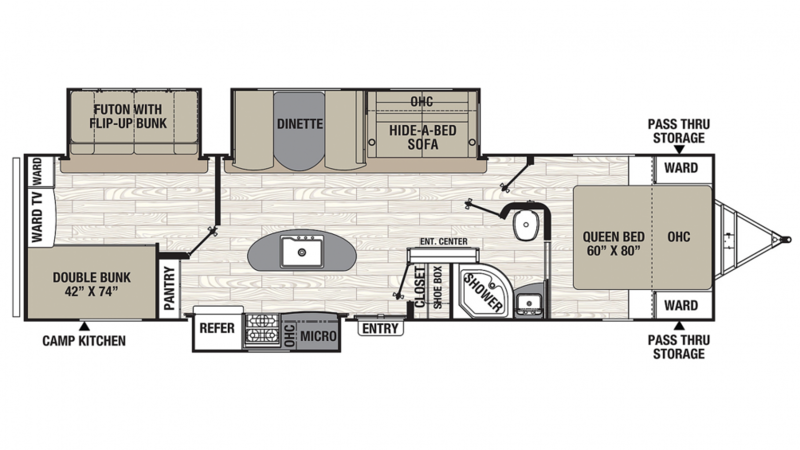 You won't have to in the 2020 Freedom Express Liberty Edition 320BHDS, with its beautifully appointed bathroom, complete with a modern, roomy shower, handsome sink vanity, and sleek, sanitary Porcelain Foot Flush commode! There are extra comfy and cozy Bunkbeds in the bunkhouse! The kids will love snuggling down at night, and they'll drift off to dreamland in no time! Don't feel like going inside and leaving the sunshine and fresh air to cook a meal? You don't have to! Just open up the outdoor kitchen!